« Alzheimer’s Disease Conundrum – Are We Near the End of the Puzzle? 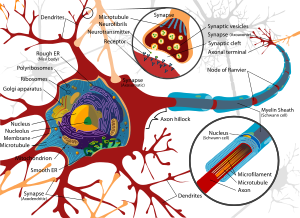 Neurodegenerative disorders such as Parkinson’s diseases (PD) and Huntington’s diseases (HD), neuronal injuries following trauma and neuronal cell death following strokes are major debilitating affections that are often accompanied by motor and cognitive dysfunctions with limited treatment options. Cell transplantation therapies have been considered for the last three decades as a serious avenue to explore with the ultimate aim to replace lost neurons with “new ones” initially originating from fetal neuroblasts and recently deriving from various sources of stem cells. host immune response to the graft. to induce their differentiation into specific neural progenitors. mostly in animal models of HD and PD. these findings need to be replicated in the context of adult brain repair. adult primary skin-derived precursor cells in vitro. appropriate cues for their differentiation. in order to obtain the requested specific neuronal subtype. Pax6 and DIx2 that are implicated in the generation of olfactory bulb (OB) neurons. 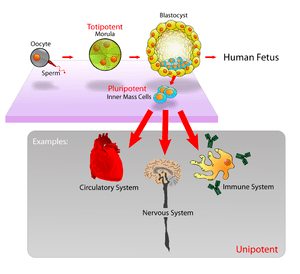 are presented as of potential interest in cell replacement or recruitment therapies in PD. DIx2 expression is more generalized and transient. molecular mechanisms involved in neuronal subtype specification in the postnatal brain. need to find their way and innervate target areas. are able to extend axons toward the striatum (Gaillard et al., 2009; Gaillard and Jaber, 2011). are able to respond to theses cues, guiding them to their final targets. the identity of cellular and molecular signals thought to be involved in development of the dopamine pathway during embryogenesis in the rodent central nervous system. The paper also describes the modulation of these factors following lesion and transplantation and their potential implication in restoring damaged pathways. details the cellular and molecular mechanisms involved in these processes. their efficiency in brain repair is very limited. the different paths that are evoked in this series of reviews should yield safer, more effective and physiologically relevant transplantation procedures. Benchoua, A., and Onteniente, B. (2012). Intracerebral transplantation for neurological disorders. Lessons from developmental, experimental, and clinical studies. Bonnamain, V., Neveu, I., and Naveilhan, P. (2012). Neural stem/progenitor cells as a promising candidate for regenerative therapy of the central nervous system. de Chevigny, A., Core, N., Follert, P., Wild, S., Bosio, A., Yoshikawa, K., et al. (2012). Dynamic expression of the pro-dopaminergic transcription factors Pax6 and Dlx2 during postnatal olfactory bulb neurogenesis. Denham, M., Parish, C. L., Leaw, B., Wright, J., Reid, C. A., Petrou, S., et al. (2012). Neurons derived from human embryonic stem cells extend long-distance axonal projections through growth along host white matter tracts after intra-cerebral transplantation. Gaillard, A., Decressac, M., Frappé, I., Fernagut, P. O., Prestoz, L., Besnard, S., et al. (2009). Anatomical and functional reconstruction of the nigrostriatal pathway by intranigral transplants. Neurobiol. Dis. 35, 477–488. Gaillard, A., and Jaber, M. (2011). Rewiring the brain with cell transplantation in Parkinson’s disease. Trends Neurosci. 34, 124–133. García-Parra, P., Cavaliere, F., Maroto, M., Bilbao, L., Obieta, I., López de Munain, A., et al. (2012). Modeling neural differentiation on micropatterned substrates coated with neural matrix components. Pauly, M. C., Piroth, T., Döbrössy, M., and Nikkhah, G. (2012). Restoration of the GABAergic striatal circuitry: from developmental aspects towards clinical applications. Prestoz, L., Jaber, M., and Gaillard, A. (2012). Dopaminergic axon guidance: which makes what? Front. Cell. Neurosci. 6:32. http://dx.doi.org/10.3389/fncel.2012.00032.